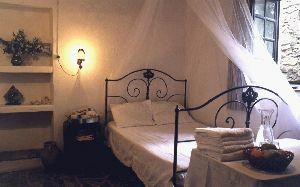 The guesthouse is seperated from the main house and has three cool comfortable rooms with private shower and toilette. We also offer a self contained cottage to spend your holiday (max 3 pers. 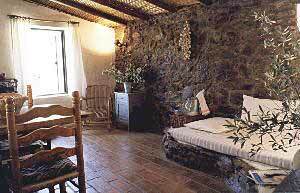 + small child) with kitchenette, warm comfortable livingroom with an open fireplace, bathroom with shower & toilette. Separate bedroom (upstairs) with private balcony overlooking the beautiful hills. Here you can smell the fragrance of the eucalyptus trees and honey. A new day arrives seated on the shadey terrace with a marvelous view over the green valley. 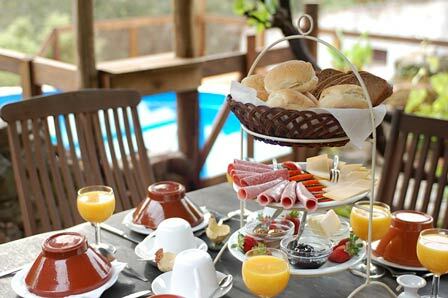 Here you can enjoy your freshly baked bread, free range eggs, cheeses, orangejuice, fruit, tea and coffee. In the evening you can order a three-course meal or daydish (also vegetarian catering) prepared with fresh local products. We also use ingredients from our own vegetable garden in the kitchen. outside our doorstep many adventurous trailways to be explored, a walkersparadise! to preserve your privacy the bar is only open to residents. We take you away from the ratrace, pollution and noise. We replace them with green nature, beautiful views, silence, fresh air and water. 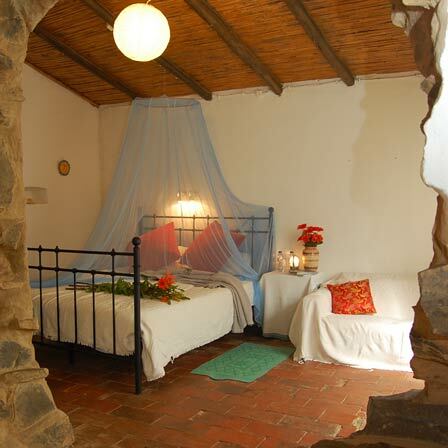 There also is a self catering studio with separate kitchen, wc & shower and adjoining bedrooms for up to two children. We can arrange a rental car to be waiting for you at Faro airport (prices on request). We can book safari's, horseriding, golf or boattrips for you. We provide maps for walkingroutes, recommendations for restaurants and other information. In the guesthouse is a communal room for guests where you can read and relax. Cool down in summer, or warm yourself at the fireplace. Here you can also find books and interesting information about the area and current events. If you have made a reservation for the cottage we can provide some daily neccessity shopping, so you don't have to shop on your first day. or mail us your shopping list and we will make sure it will be present upon your arrival. babyphone, babybed and eatingchair available. we do separate cooking for children if you like. we have a box full of toys to play with and a splashpool. 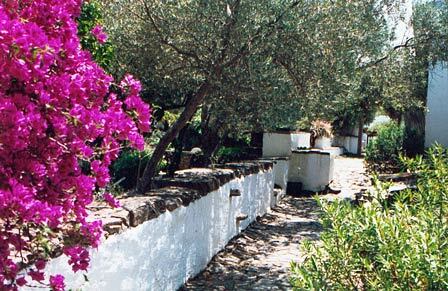 up to 10 years, children stay at our quinta for free.